Academy Class 237 ? or 238 ? Illness: viral myocarditis, this illness led to major organ failure. Evan contracted an illness – viral myocarditis, this illness led to major organ failure. Evan was airlifted to to Sydney St Vincent’s hospital on 11/9/2006, and was placed in a coma for several weeks until a special total heart bypass machine was bought from England. This Machine kept Evan alive and awake until a donor heart became available. This machine bought many months of family time that the family will be forever grateful for. The transplant surgery was a success on the 3/3/2007 but the effects of the prolonged use of blood thinners was unable to be reversed and Evan passed away 6.15am on 4/3/2007. Evan is survived by his wife Helen, children Hannah, Olivia and Theo Heinjus. Evan was a much adored country cop, he always said his mouth was his best weapon and he could talk people around with his manner. Evan loved his work as a NSW Police Officer and received many Superintendent and Commissioners commendation’s and awards. May you forever Rest In Peace Evan. On the 29th day of each September, police officers, fellow officers, wives, husbands, parents, partners, and children gather at sites across the state to remember those police officers who have lost their lives in the course of serving their community. A commemoration is held at the NSW Police Force Wall of Remembrance in the Domain, Sydney which includes a service and prayers for those fallen officers. As the dignitaries laid wreaths they were accompanied by some of our young Legatees. We’d like to thank Theo, Olivia and Hannah Heinjus and Brendon Speechley who laid wreaths in honour of their lost parents and all fallen officers. 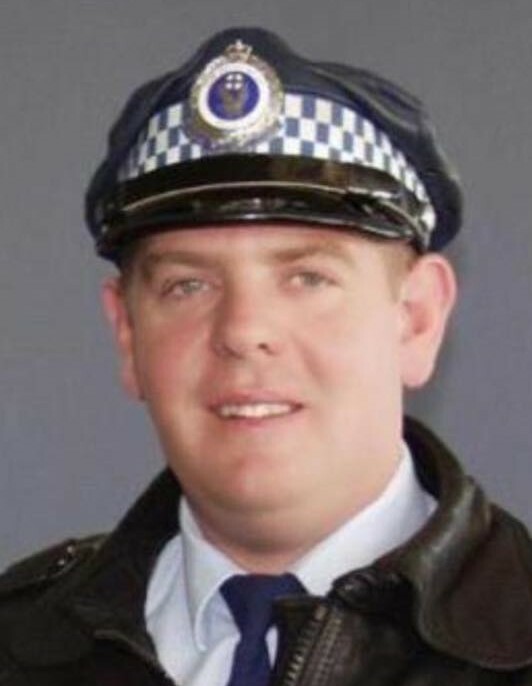 Theo was only six years old when his father, Senior Constable Evan Heinjus, died from complications after a heart transplant, aged 38. Theo received the award from NSW Police Commissioner Andrew Scipione. “Theo is a popular and enthusiastic boy, who has exhibited a great deal of courage in dealing with the grief of his father’s death,” Commissioner Scipione said. 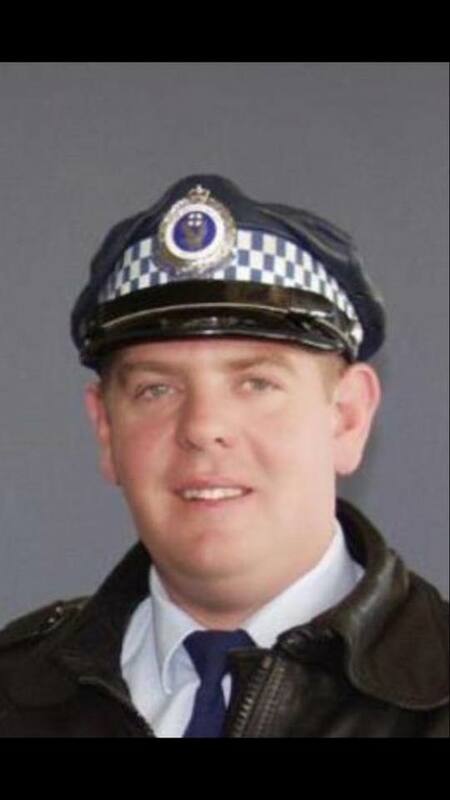 The $5000 scholarship will be put into a trust fund for Theo and will be managed by NSW Police Legacy. “I am immensely proud that he has been able to achieve this award, it will certainly make a difference to his schooling in the upcoming years,” Theo’s mother Helen Foley said. This year we went to the Gold Coast, staying for the week at the Christian Youth Camp (CYC). I was in a room with Maddie, Jasmine, Margaret, Eleano and the new girls, Catlin & Katie. On the first day we went to Dreamworld and I’m sure everyone loved it. I personally had a thrilling time because I went on the CLAW. Lara and Amy dragged me on to it! On Monday we did stand up paddle boarding and surfing. The weather wasn’t great and some of us were being blown away by the wind but standing up paddle boarding was so much fun! On Tuesday we did canoeing and tubing and it was great. While we were tubing Iveta and James did a switch and swapped sides and Callum and Mitch tried to flip it. On Wednesday we went to Wet ‘n Wild and had lots of fun on all the rides. On Thursday we went to the movies at this giant shopping centre and after our movie we went shopping. Friday was goodbye. When we landed Theo and I were back in our mothers arms. We had a great time and can’t wait to go on our next camp.